As of March 26,2016 Gifts Afloat has Know Your Ships 2016 in stock. 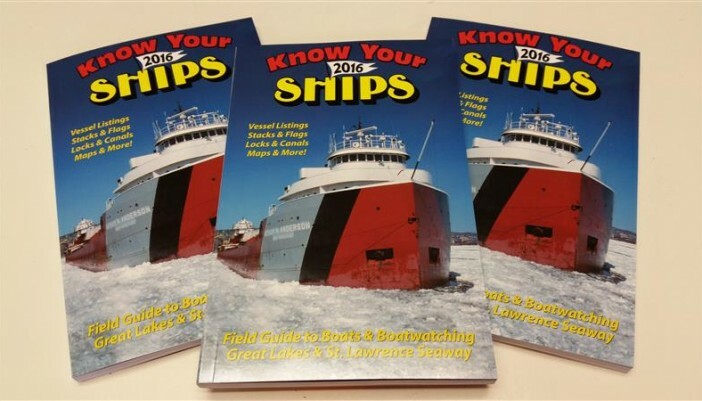 Know Your Ships 2016 is the 57th edition of this popular book. It is “The Field Guide to Boats & Boatwatching”, including the Great Lakes and St. Lawrence Seaway. It features vessel listings, stacks and flags, information about locks and canals, and maps! Stop in and get your copy today!